"The Force will be with you… always." 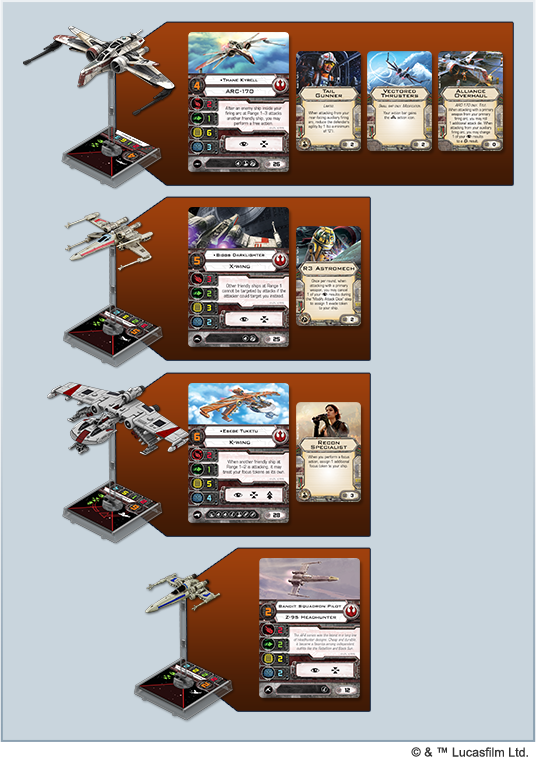 What is X-Wing™ all about? If you hang around game stores, you're likely to hear about the game's high-quality miniatures and its fast-paced fighter battles. You're also more than likely hear a lot about the welcoming and energetic tournament scene. But there's a lot more to X-Wing than tournament play. This is a game that allows you to enjoy nearly any Star Wars fighter battle you can imagine, and the fact of the matter is that casual play opens up a wide array of battles that don't fit exactly into the "100-6" format of traditionally competitive matches, consisting of squads built to one-hundred points and six asteroid or debris tokens. 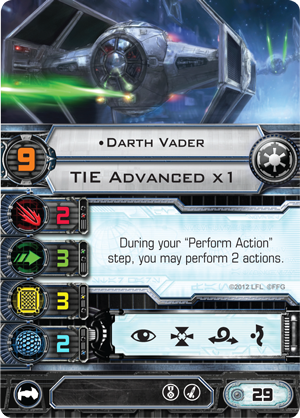 In our X-Wing 101 series, we focus on the different ways you can get started with X-Wing or add depth to your riveting Core Set battles. So far, though, we've focused primarily on tournament-style lists—even if they haven't always had competitive play front and center. Guest writers Zach Bunn, Kevin Leintz, and World Champion Nand Torfs have all presented their introductory lists with an eye toward the 100-6 format. Today, however, guest writer Jim Chadwick takes us far from the Core Worlds and the Imperial standard. He leads us, instead, to the Outer Rim and the various watering holes where the galaxy's more ruggedly independent X-Wing players assemble their squadrons not just to blast their opponent's ships out of space, but to complete the various missions they find in the Core Set and other expansions. For these players, the specific challenges these missions introduce lead to games that make for thrilling stories. I feel that missions are an often overlooked part of X-Wing, but they provide me one of my favorite ways to play the game. Don't get me wrong. 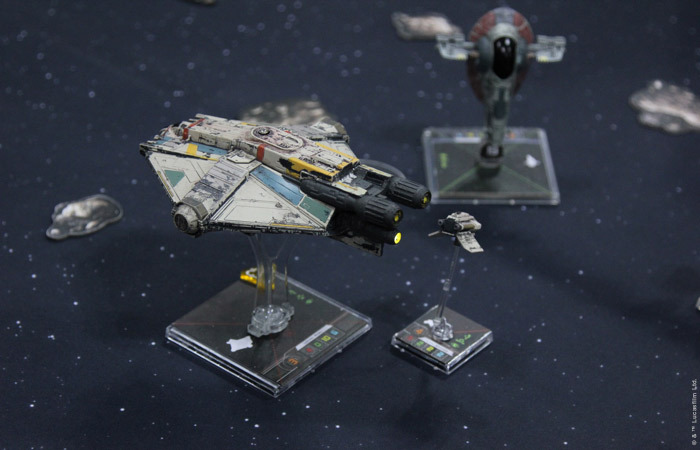 It's fun to play tournament-style games like a pair of top aces battling for supremacy, but many players are looking for thematic or cinematic experiences that feel more like the Star Wars they know and love. Missions can tell stories and offer narratives that allow for noble sacrifices and true upset victories. How you fly your ships—and even the ships you fly—can be very different when playing missions. 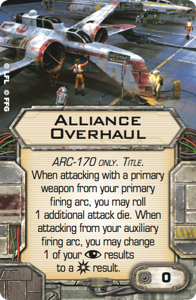 For those looking to live their own Star Wars stories, figuring out which ships to buy can take a different shape than for those whose primary goal is to be competitive in tournament-style matches as quickly as possible. This mission has stood the test of time, even with many new ships, pilots, and upgrades. It's still a fun challenge for the Rebels to move the Shuttle across the board while the Imperials try to destroy it. And this challenge may alter the way you build your squad. It may even impact the expansions you buy to add to your squad-building options. Strong tournament lists won’t necessarily succeed in a mission such as this. The parameters are different. If the Rebels build a list with only a few deadly ships, then the Imperials forces are likely to swarm the defenders and blast the Senator’s Shuttle to bits. To help defend the Shuttle, the Rebel ships are allowed to use a new Protect action that assigns the Shuttle an Evade token. This means you will most likely want to have several ships that can fly next to the Shuttle to protect it, but too many will just get in its way. 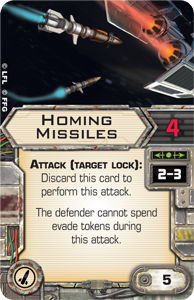 As a Rebel player, you also need to be aware of the tricks the Imperials can use, such as Homing Missiles , that can negate Evade tokens entirely. This means the Rebel squadron you build for the mission will be strongest with several pilots that work together to provide synergy that can be used to protect the Senator’s fragile Shuttle. Your Rebels will need some firepower, as well. 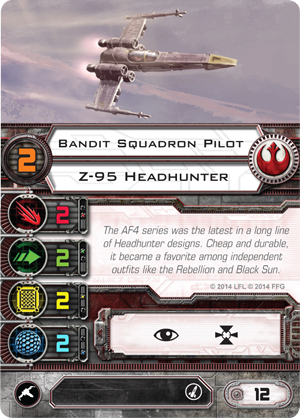 One sample squadron you can build for under 101 USD makes use of the Core Set, plus the ARC-170 Expansion Pack, K-wing Expansion Pack, and Z-95 Headhunter Expansion Pack. Overall, this list comes in under the 101 USD budget at 95 USD, allowing you to start saving up for your next purchase. 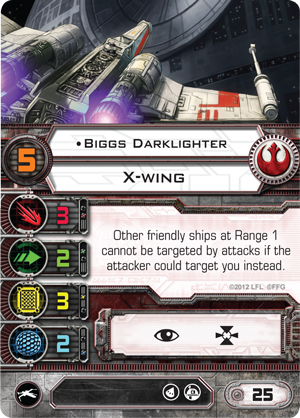 In this list, we start with everyone’s favorite wingman, Biggs Darklighter. His ability to draw enemy fire makes him the perfect pilot to help the beleaguered Senator limp across the table. 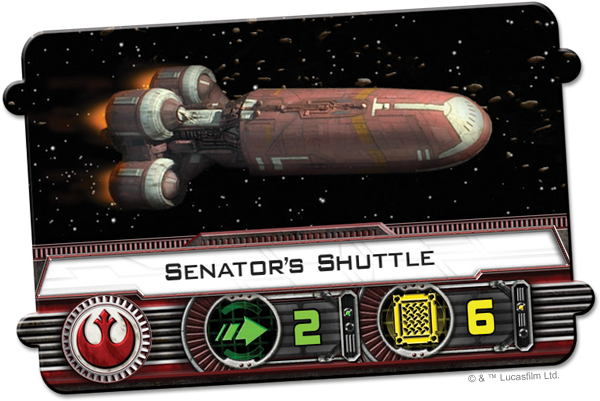 If the Senator's Shuttle flies straight at full speed, it’s only six turns until he’s safely off the board, and Biggs can likely buy a few precious turns to help him reach safety. 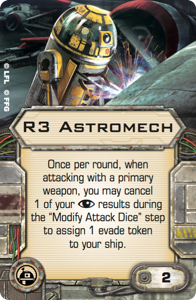 An R3 Astromech and Esege’s Focus tokens can help Biggs withstand enemy fire even longer, and he can use his T-65 X-Wing’s firepower to help take out any Imperials that approach from the front—minus the focus result you'll want to use to fuel the R3 Astromech. Although K-wings are known to zip around the board and drop bombs in strategic locations, you only need a pared-down version for this rescue mission. 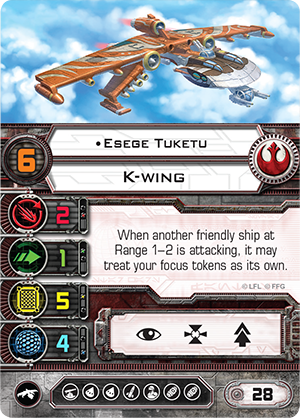 Esege Tuketu is one of the few Rebel pilots that can help support Biggs in a defensive manner. 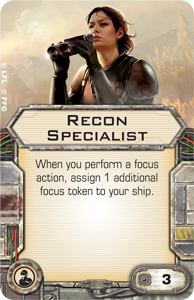 Beyond offering up his double Focus tokens, thanks to Recon Specialist, Esege can use his 360-degree turret main weapon to help plink away at enemy fighters. These enemies usually end up within Range "1," and this means Esege's normally weak attack dice get to be a bit stronger. After the initial pass, it's also valuable that his ship can stay in formation with the Shuttle and fire in any direction. 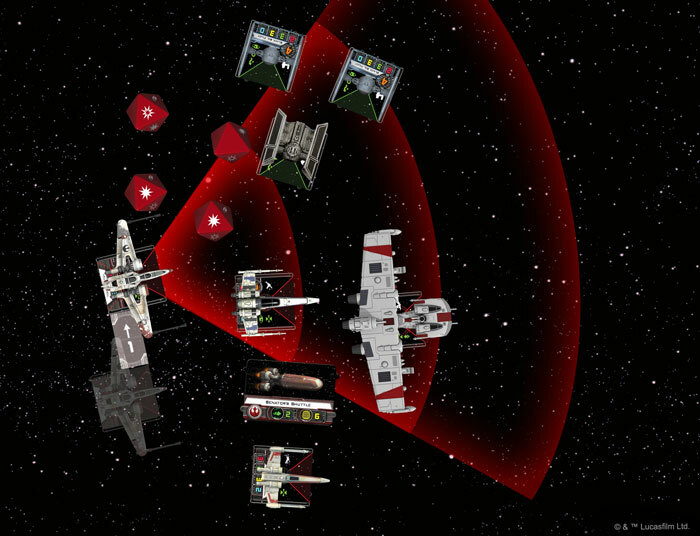 Now that you have two strong support ships to protect the Senator, you will need to add some firepower to take down the Imperials before they can whittle away at your escorts. 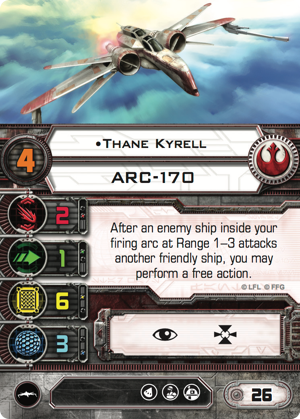 To this end, Thane Kyrell brings his powerful retrofitted ARC-170 fighter to the squad. 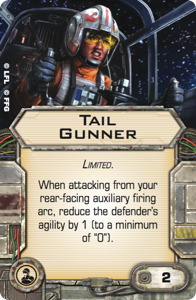 Its forward guns will be able to blast away at the enemy as they approach the shuttle, and his Tail Gunner will make hitting those evasive TIE fighters easier after the first pass. Additionally, when the enemy fires at Biggs or the Shuttle, Thane gains a free action that he can use to improve his attack with a Focus or Target Lock, Barrel Roll into a better position, or perform a Protect action and give the Senator an Evade action. After Darth Vader fires at Biggs, Thane Kyrell is able to barrel roll into position to fire a four die attack at Vader from Range "1." This leaves you twelve squad points, just enough for a Bandit Squadron Pilot that you can move into position to Protect the Shuttle every round. Alternately, the Bandit Squadron Pilot's low pilot skill value offers you the option of moving up and bumping or blocking the incoming Imperials. The fact that this small ship makes the list helps illustrate the difference between a tournament list and a list built around supporting the Senator's Shuttle. The extra support it offers may make the last bit of difference in helping the Senator’s Shuttle flee the edge of the board. Just as the Rebels face a unique set of challenges when they prepare for their mission, the Imperials on the other side of the table have their own obstacles to overcome before they can prevent the defecting Senator to escape the board. First, the Shuttle's movement imposes a time limit on the match, meaning the Imperial forces must be fast enough to reach the enemy and deadly enough to punch through its defenses, as well as those of the escorting ships. Second, the ships must be agile or resilient enough to survive the counterattack, as the mission is dangerous, and each Imperial loss only makes it harder to take down the enemy Shuttle. 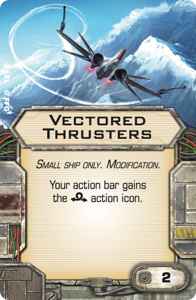 This means the Imperials have plenty of interesting choices to make, themselves, and in the second half of this X-Wing 101 article, we'll look at one of the ways an Imperial player might approach the mission for under 101 USD. 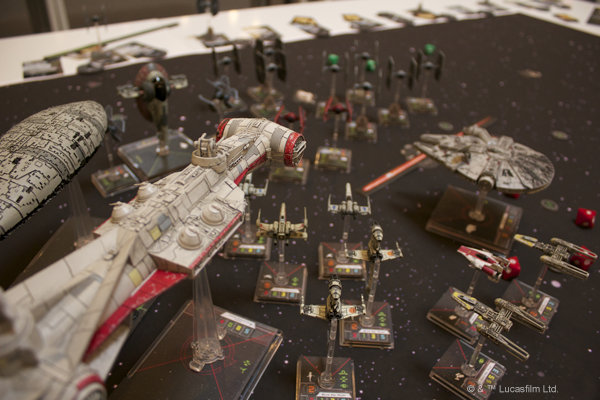 Jim Chadwick has been playing tabletop games since 1978 and X-Wing since Wave I. He's an ambassador for casual X-Wing and shares his thoughts on The Shuttle Tydirium Podcast, which he hosts. He contributes to the FFG forums as heychadwick.